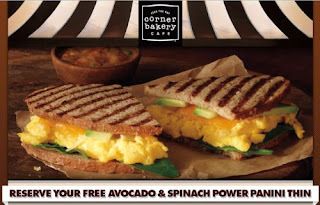 Reserve your free Avocado & Spinach Power Panini at the Corner Bakery. They are only giving away a limited number. Click the link below to go to their website to get started.